I think I may be just about done with the tentacle series, so in a few weeks I’ll have to think of something else to do with my Tuesdays. This one got two layers of washes, one darker than the other, so I decided to keep the tentacles themselves to a single, matte black layer, contained entirely within the darker wash, at least at the bottom. One of them does break out of the top, as tentacles are wont to do. 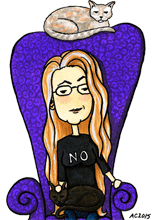 The rich colors of this were lost somewhat in the scanning process (I do seem to say that a lot, don’t I? 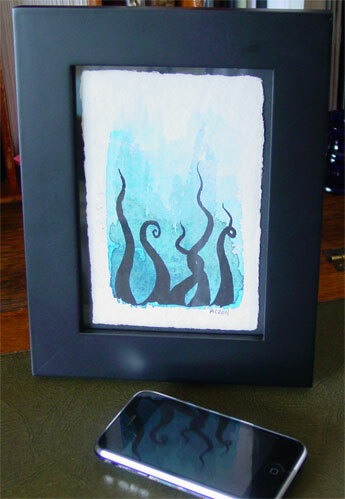 ), but this handmade (not by me, though) postcard looks great in a simple black frame. 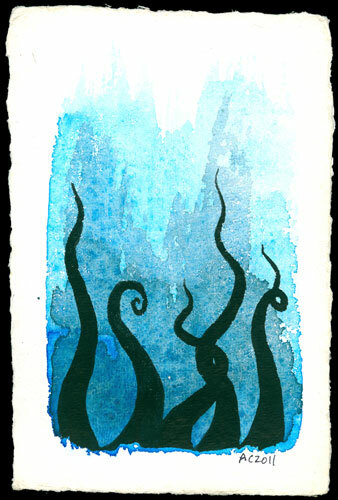 Tentacle Deeps 12, 4″x6″ watercolor on handmade postcard.